"Florence is expected to stall and wander near or over the coast for as many as four days, dumping prodigious amounts of rain," said meteorologist Jeff Masters of Weather Underground, who added "If a significant portion of the storm’s circulation remains over water, as occurred last year with Hurricane Harvey’s stall over Southeast Texas — or even if Florence were to move into the higher terrain of western North Carolina and then stall — the rain may break all-time state records for rainfall from a hurricane or tropical storm." "It's really a dicey forecast right now," says National Weather Service meteorologist Mike Emlaw. "We’re as ready as anybody’s ever been," Trump told White House reporters during a Tuesday briefing with officials from the Department of Homeland Security (DHS) officials and the Federal Emergency Management Agency (FEMA). "It’s going to be a very large one," said Trump, adding "It’s tremendously big and tremendously wet." 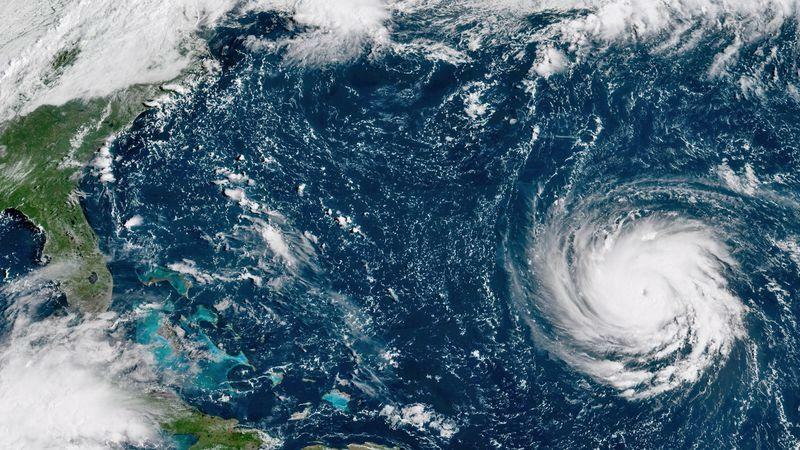 According to a 2 p.m. update from the US Hurricane Center, Florence - packing 130 MPH winds, iws expected to be the worst storm in the region since Hurricane Hazel made landfall near the North/South Carolina border in 1954. Wash all dirty clothes and bed sheets. Anything dirty will smell without the A/C, you may need the items, and with no A/C, you'll be sweating a lot. You're going to want clean sheets. Toss out any expiring food, clean cat litter boxes, empty all trash cans in the house, including bathrooms. Remove anything that will cause an odor when the A/C is off. If you don't have a trash day pickup before the storm, find a dumpster. Clean all counters in advance. Start with a clean surface. Buy Clorox Wipes for cleaning when there is no power. Mop your floors and vacuum. If power is out for 10 days, you'll have to live in the mess you started with. Pick your emergency safe place such as a closet under the stairs. Store the items you'll need in that location for the brunt of the storm. Make a hand fan for when the power is out. Keep baby wipes next to each toilet. Don't flush them. It's not the time to risk clogging your toilet! Run your dishwasher, don't risk having dirty smelly dishes and you need every container for water! Remember you'll need clean water for brushing your teeth, washing yourself, and cleaning your hands. Pack a small suitcase and keep it in your car in case you decide to evacuate. Also put at least one jug of water in your car. It will still be there if you don't evacuate. You don't need to store all water in the house. Remember to pack for pets as well.